Xunta pola Defensa de la Llingua Asturiana (XDLA) is a social, independent and non-partisan organization. Its main aim is the defence of the Asturian language and the linguistic rights of those people using this language. Everyone interested in working towards getting a decent future for the Asturian language can join us, it does not matter your political beliefs. In this way, XDLA can act as a negotiator with political parties, trade unions or institutions in order to get support from these entities to its own aim. Since 1984, XDLA continually works defending a decent and legal framework where this people’s rights are respected. This is making Asturian an official language, the only instrument to dignify it, and its social normalization in education, media, civil service, private enterprises, etc. Xunta Moza is the organization within XDLA run by young people. It is a plural, unitary and apolitical organization, which main aim is the defence of the young Asturian people using this language. 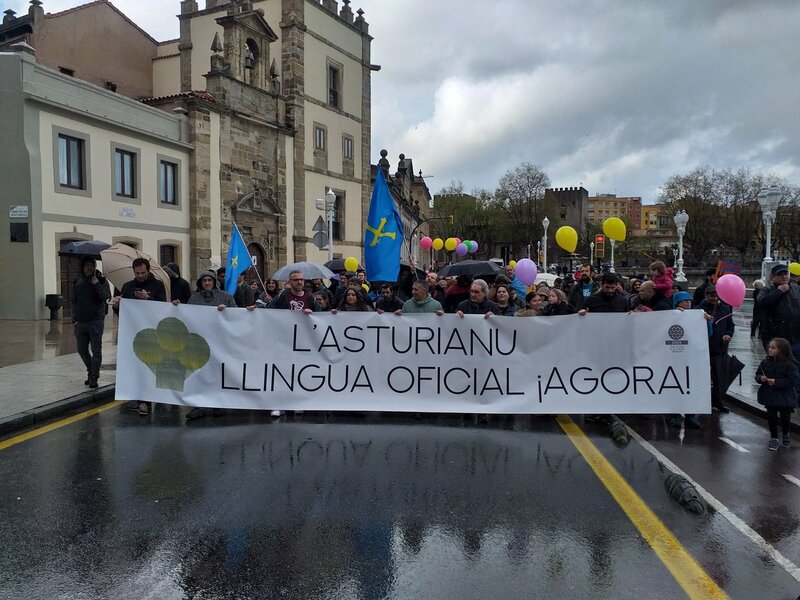 We demand our rights to live in Asturies speaking Asturian, giving to this language its official status thinking this is the only direction that can guarantee our rights. We demand our language has a decent presence in the educational system-from primary to university education-; we demand an Asturian media; and a civil service which normalizes our language. We fight for not to see the death of a thousand-year-old language, the language of our people, before our very eyes.